PHILLIPS tests you, little hobbit. Assignments are due at the start of class each day. Late homework will be accepted for up to 60% credit. ​Both timed handwritten Free Response Question (FRQ) and Document Based Question (DBQ) essays will be assigned throughout the semester. Handwritten assignments are acceptable in blue or black ink only. Essays written in pencil will not be accepted. ​Typed assignments must conform to MLA standards. ​Make-up work is your responsibility. Work assigned prior to an absence will be due upon your return to school. This includes tests that are scheduled for the day of your return. For work assigned during your excused absence: one day out= one extra day, two days out = two extra days, three days out = three extra days. Missed tests due to an excused absence may be made up during PRIDE Time, SMART Lunch, or after school by appointment. Be engaged! This is an intense college-level course which moves quickly and deeply. Lengthy readings are assigned nightly. Students are expected to arrive at class daily prepared to discuss. ​​Students are encouraged to take detailed handwritten notes over each night’s readings. We will regularly have both announced and unannounced free-response quizzes over the previous night’s assignment. Handwritten notes may used on unannounced quizzes. 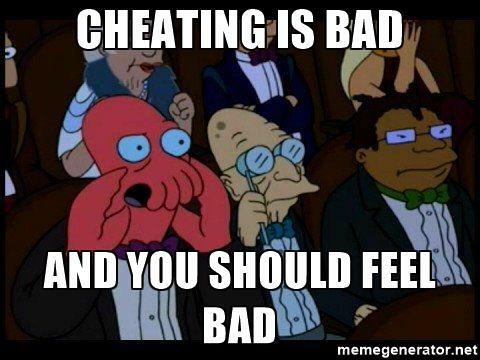 CHEATING IS BAD. Do it on even the smallest assignment and you’ll lose my respect and can count me out as ever acting as a reference for you. I will also inform your other teachers that you've been caught cheating and cannot be trusted and will see that you are dismissed from any honor societies to which you belong. Be kind! Be positive, speak politely, use active listening, use appropriate language, celebrate others’ successes, offer solutions, be forgiving, and above all else, maintain your self-respect and respect the dignity of others. Act interested. Jump in! Discussions are only effective when participants are well-prepared and engaged. This class will be either as exciting or as boring as you choose to make it. ​​Keep an open mind! A good historian must step into the shoes of past peoples and seriously examine life from alternative perspectives. Don’t restrict your thinking to your 21st century values. You are required to bring these items to class every day.